We’ve all been there. Your alarm didn’t go off and you have less than 30 minutes to pack and get yourself to the airport. In these instances, overthinking is your enemy– and the recipe for a missed flight. When you only have time to pack the essentials, a dressy, professional, and, most importantly, flexible outfit is the first thing that should go into your suitcase. I’m a Type A planner, so even the thought of being unprepared gives me anxiety. Versatile work clothes have become my saving grace for going with the flow. Whether it’s a business trip, wedding, vacation, or a variation of the three, the right accessories can turn a tailored office dress into cocktail-appropriate resort wear. Case in Point: This Banana Republic paneled sheath dress. 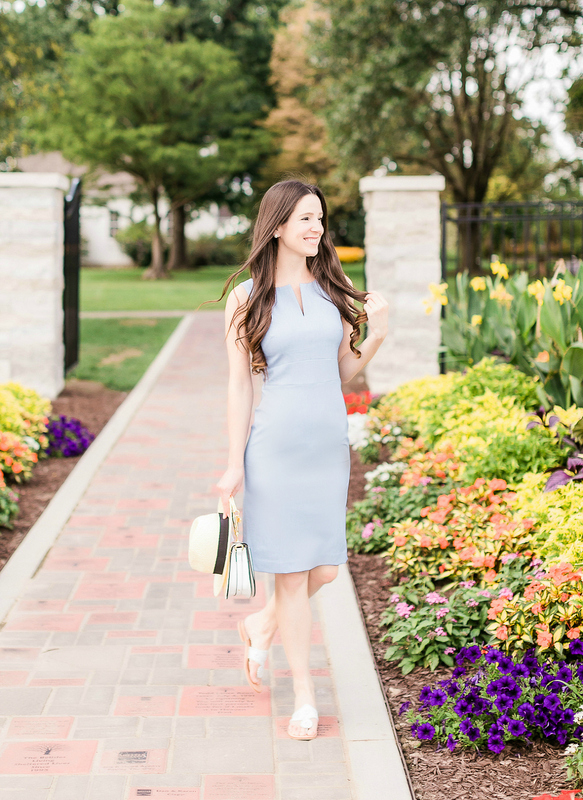 If you’re not sure how to wear a sheath dress outside of the office, this particular style instantly becomes work-appropriate with a blazer and heels, cocktail-appropriate with wedges and statement jewelry, and vacation-appropriate with comfy sandals and a cute straw hat. The right accessories make a world of difference, so pack accordingly. That way, if a last-minute meeting pops up, you’ll be covered. If you’re invited to a dressy cocktail event, you’ll be covered. Lastly, if you do nothing but sip margaritas and sight see (my itinerary of choice), you’ll also be covered. It’s a win-win-win situation. Head to the bottom of this post for full outfit details! 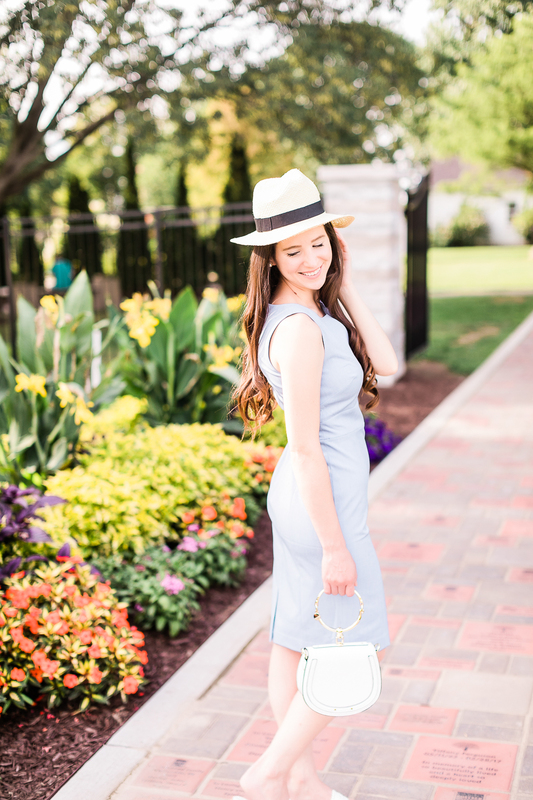 Oh, and for more of my favorite Banana Republic looks, click here! I know I’m a day early, but I’m already in weekend mode… so have a great weekend, y’all! Thank you, Banana Republic, for sponsoring this post! While I was compensated to write about wearing work clothes on vacation, all opinions are my own. Thank you so much for supporting the brands that make Diary of a Debutante possible!